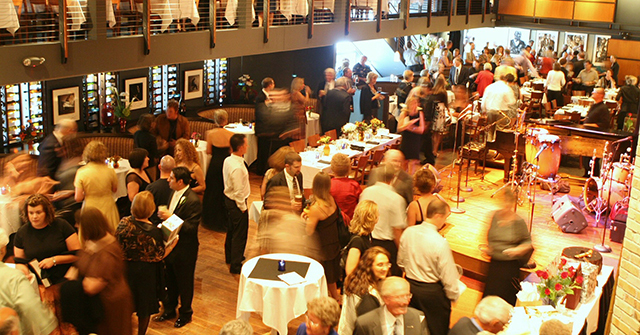 The Dakota is one of the most unique events spaces in the Twin Cities. Its multi-level design allows for multiple group spaces with varied views of the stage and levels of privacy. For details please fill out the form below or call 612.332.1010 ext 123 and talk about arranging that perfect party, dinner, or private show. From sit down meals for 10 to receptions for up to 350 people, regardless the size of the event, the Dakota kitchen staff is always ready to satisfy. With a bar of fine liquors, custom cocktails, local beers, an impressive wine cellar, and bartenders seasoned in the art of the drink, we are confident that our bartenders will add to the decadence of your evening. With a professional Meyer Sound system, full stage, set-lighting, and large screen monitors for presentations, the Dakota is more than able to accommodate whatever event you’re planning. Need a good band for the night? We have a short list of fantastic bands ready to perform! 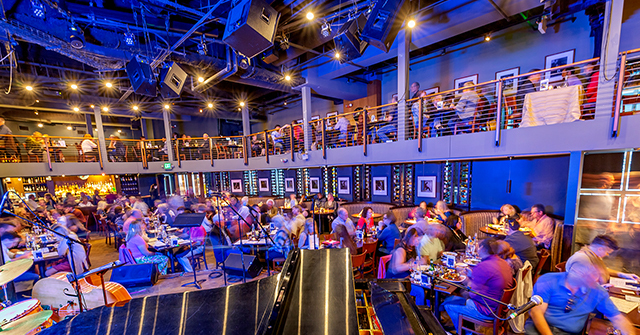 Along with our main dining room, we have 2 private dining rooms and the mezzanine overlooking the stage. 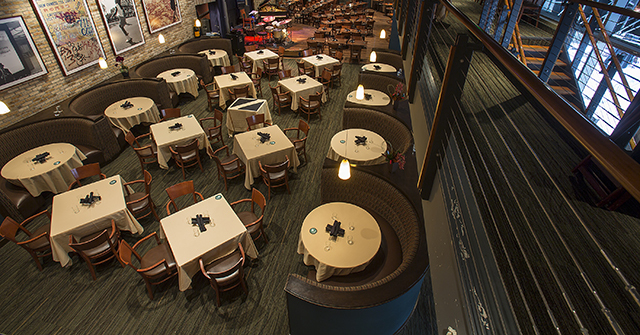 The entire Dakota can accommodate between 250 – 350 guests. 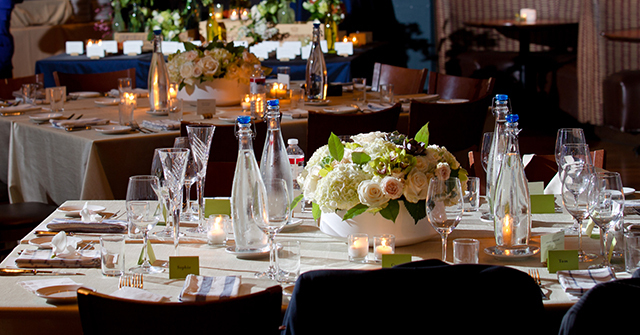 One of the most distinct event spaces in the Twin Cities, your wedding at the Dakota will be just as memorable. This is your special day, everything should be perfect. Our chefs will collaborate with you to create an individual menu especially for your event – we ensure every aspect of your evening is held to our high standards of fine dining. 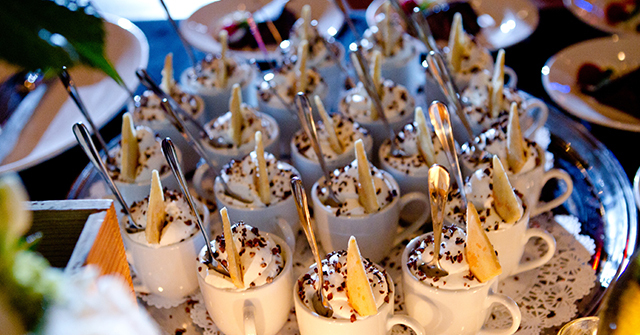 Regardless of the size or budget, we will customize your menu to exact specifications and ensure that on your big day service is second none. An inspired reputation of American fusion with southern, New Orleans influence, the Dakota’s menu is based in locally sourced and natural ingredients whenever possible. Whether you are looking to have an intimate meal or host a banquet, rest assured that each menu is created to the highest grade of quality and taste. For more information click the “Book a Private Event” button below or email Joe Doermann at joe@dakotacooks.com to start arranging your perfect party, dinner, or private show.